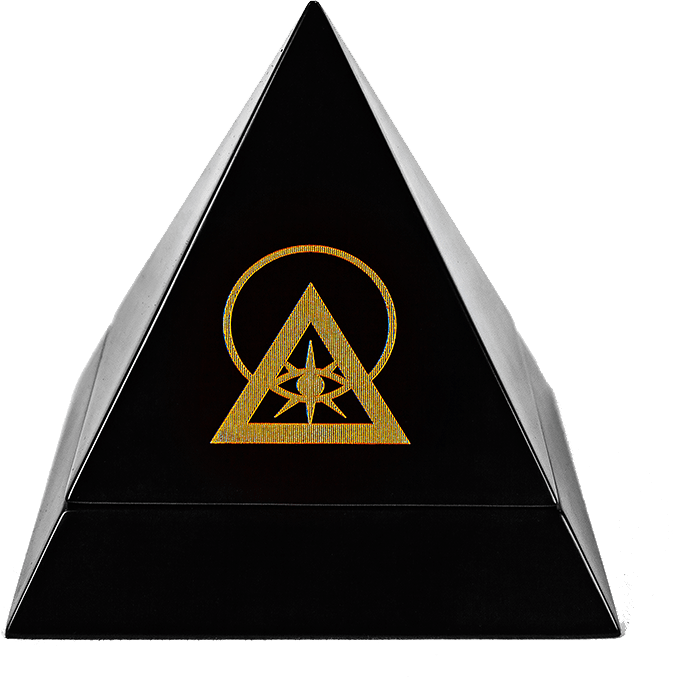 The Illuminati Talisman is a symbol of global unity for the human species. 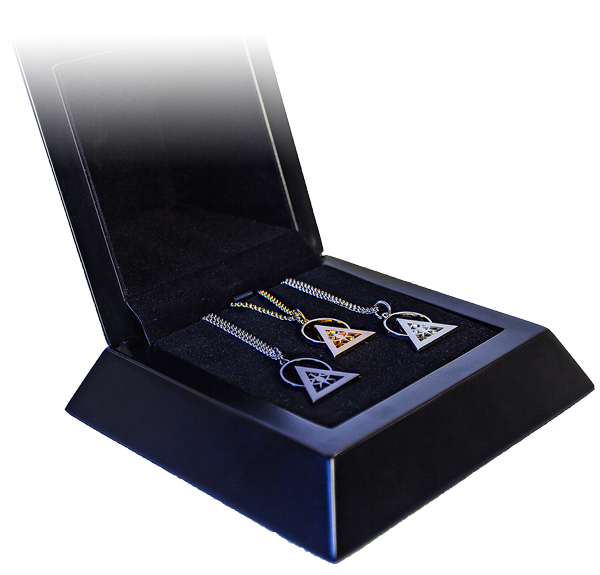 Crafted by artisans in real wood, the Trifecta chest beautifully stores and displays a complete set of the Gold, Rhodium, and Copper Talismans. 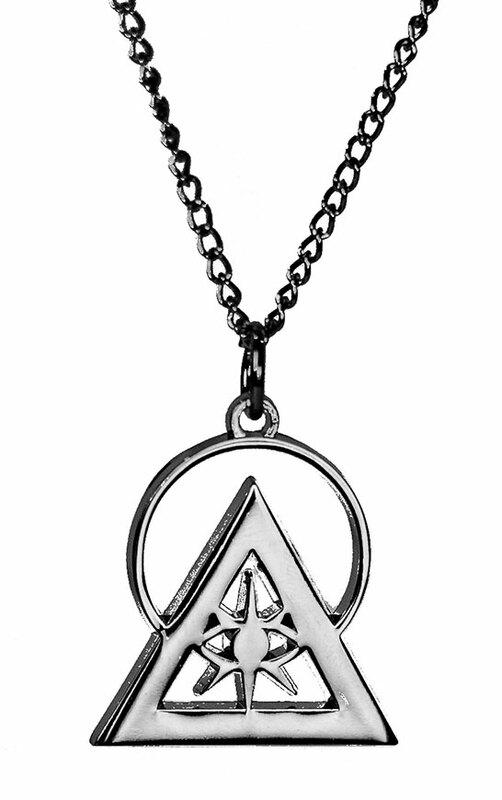 Every day, thousands wear this symbol as a sign of their commitment to the advancement of the human species. 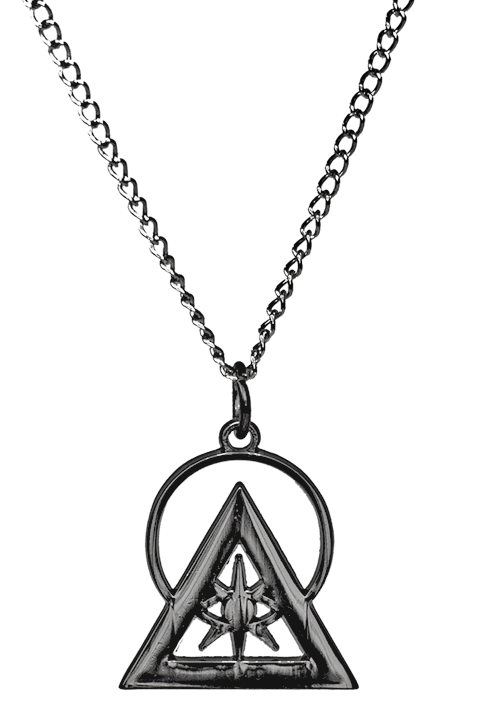 Includes gold, silver rhodium, and copper Talisman necklaces in a handcrafted wood chest. 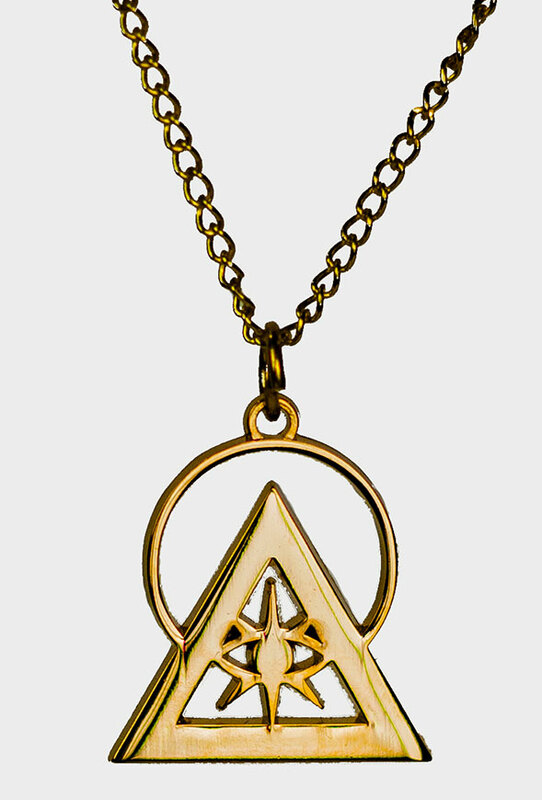 Talismans: 1" metal, gold / rhodium / copper plated with chains included. This item contains small parts and is not recommended for young children. Pieces may contain zinc or nickel metal and should not be submerged in water.